In this 5 articles series, all within this post, we take a look at healthy eating, and in particular the habits you need to have and to avoid to maintain this program. We start off with a look at how to develop those habits then look at the bad healthy eating habits. We continue on to positive habits, the right mental approach and how to start your day in the right healthy eating way. The importance of good healthy eating habits cannot be stressed enough. It’s through eating quality foods that you get to enjoy numerous health benefits including mental sharpness, a strong and healthy heart, overall wellness and increased energy levels. However, to successfully develop good healthy eating habits, you need to gradually change your existing eating habits and not impose strict dietary limitations that deprive you of the foods you love. In this post we’ll be providing you with a detailed action plan that explains how you can do just that in four simple steps. In order to start eating healthier, you don’t have to instantly drop all of your current eating habits. Instead, use your current diet as the platform for making future healthy changes. Simply conduct a diet assessment to identify which healthy eating habits you should maintain and which poor eating habits need to be dropped. Write the healthy eating habits you should maintain on one list and then write the poor eating habits you need to ditch on a separate list. Are you in the habit of eating junk food and other unhealthy foods at home even when you’re not hungry? If so, you’re not alone. Many people engage in this unhealthy eating habit simply because they’re within close reach of such foods. Therefore, if you want to develop and stick to healthy eating habits, a good starting place would be clearing your pantry and refrigerator of any potentially tempting foods. Without these food items around, you’ll be able to make healthier choices because there won’t be any junk food to tempt you. Trying to acquire healthy eating habits overnight is unrealistic. If you do so, you’ll be setting yourself up for failure because sooner or later, you’ll regress back to your old eating habits. So instead of trying to completely overhaul your diet, take it slowly by making one small and simply dietary change per week. Some examples of the weekly changes you could make include swapping diet soda for water, swapping chips for nuts or swapping your weekly pizza for a healthy, home cooked meal. Doing this will make the process of developing healthy eating habits more manageable and less stressful. To successfully adopt new healthy eating habits, you’ll need to be highly determined and 100% committed. One of the best ways to can fuel your commitment and determination is by staying positive. Stop thinking about what you have given up and instead focus on the positive aspects of healthy eating and the successes you’ve managed so far. This will give you the will to keep moving forward whenever you’re tempted to fall back to your former bad eating habits. By incorporating these simple but effective tips into your lifestyle, you’ll find it so easy to transition into the process of healthy eating. So review all four tips right now, start taking action today and begin your healthy eating journey. Unhealthy eating habits not only expose you to chronic diseases but can also ruin the hard work put into a good workout at the gym. The unfortunate thing is that most people who engage in bad eating habits don’t know how much of a detrimental effect it’s having on their fitness. To help you make better food choices and get you on the right track to a leaner and healthier body, here are five bad eating habits that you need to avoid. To start eating mindfully, feel how satiated you are after each mouthful of food and stop eating as soon as you’re satisfied. This may seem difficult at first but the more you do it, the more connected you’ll become to your body’s hunger signals and the more natural it will feel. Not only is snacking encouraged by nutrition experts, it’s also a great way to boost your healthy eating habits. When you snack in the right way, you won’t feel hungry between meals and you’ll supply your body with a wide range of health boosting nutrients. Unfortunately, most people don’t snack in the right way and indulge in processed snacks between their healthy meals. This then sabotages their healthy eating efforts and makes achieving their goals very difficult. So how do you snack in the right way? Simply choose foods that are fresh and natural. Some of the many good healthy snacking options include fresh fruits, Greek yogurt, nuts and seeds. Diet soda is something that many people believe to be a healthy drink because it contains zero sugar and so eliminates hundreds of calories while still allowing you to enjoy a sweet treat. However, diet sodas are actually loaded with artificial ingredients that damage your body in numerous ways and have been linked with an increased risk of heart disease, metabolic syndrome and more. The best way to ditch diet soda is to drink water instead. However, if you get bored with drinking water all the time, you can also mix up your intake and stay hydrated with coffee, fruit infused water, tea and smoothies. If you’re a person who eats rapidly, either out of habit or because you don’t feel like you have the time to sit down and eat for leisure, you need to quit this bad habit. It takes around 30 minutes for hunger signals to respond to the foods you eat and send satiety signals to your brain. Therefore, if you eat too fast, you’re likely to eat much more than your body requires before your hunger signals respond to the foods. So slow down, savor each mouthful and take your time when eating. Lack of sleep directly affects both your body and brain causing you to engage in unhealthy eating habits. Without enough sleep, your metabolism goes haywire and this will cause you to feel hungrier and crave unhealthy foods. Not getting enough sleep also negatively impacts the areas of your brain that are responsible for logic and reasoning, setting you up to make bad decisions when it comes to food. This combination of a dulled brain and increased hunger cravings makes you much more likely to break your healthy eating habits. By making sure you get a minimum of six hours quality sleep each night, you avoid these adverse effects and eating healthy becomes much easier. Even if you have a strong intention to eat healthy, these five bad habits cause many people to slip up. So take another look at this list and make sure you aren’t currently falling victim to any of these negative eating habits to ease your healthy eating journey. In a bid to take up healthy eating, you’ve most likely already conducted research to find out which foods are good for your health and which ones you should avoid. However, even with all of this knowledge and your willingness to change, you’re still struggling to develop and maintain healthy eating habits. The reason for this is that any healthy eating knowledge is worthless without the right mindset. This post will discuss how you can get into the right frame of mind and start easily integrating healthy foods into your diet with five simple but effective mental habits. Wake up each morning with one thought in mind – a healthy eating habit that you want to achieve by the end of the day. This can be anything from drinking eight glasses of water to replacing an unhealthy meal with a healthy one. When you practice doing this daily, you’ll find that your healthy eating habits become very easy to maintain. This then allows you to consistently add new healthy eating habits to your routine and drastically increase the quality of your diet. Many people fear that by eating healthy foods, they’ll need to give up foods that they love. However, this does not have to be so because there are so many tasty, healthy, nutritious foods out there. By trying new recipes and experimenting with new healthy foods, you can easily find plenty of nutritious foods that you enjoy eating. When you find these foods, your whole focus towards healthy eating will shift. Instead of focusing negatively on all the things you’re missing out on, you’ll focus positively and look forward to all the delicious and healthy foods you get to consume. This will allow you to fully embrace healthy eating without any regrets. Healthy eating has so many benefits. These include an improved mood, enhanced energy levels, a stronger immune system and lower body fat levels. By always thinking about these benefits, you’ll be able to get the motivation you need to stick with healthy eating in the long run. One of the main reasons why people who have started healthy eating quit and fall back to an unhealthy diet is because they tend to focus heavily on the things that go wrong. While it may seem natural to focus on the negatives, giving yourself credit for all the things that go right is much more useful. When you celebrate your successes, no matter how small they are, you’ll become more positive about your healthy eating journey and more forgiving of the mistakes you make. Mindfulness is a powerful tool that can help you conquer bad eating habits. To become more mindful, start listening to your body and its hunger signals. At first this may seem difficult but the more you practice, the more aware you will become of your satiety levels while eating. This will ultimately allow you to eat just the right amount of food to satisfy your hunger without overindulging. You’ll also find that when you become fully mindful of what you’re eating, you’ll fully appreciate the flavor of the foods you eat and enjoy eating so much more. If you’ve had little success with healthy eating so far, these five habits will make a huge difference. With the right mindset, improving your diet is a much smoother, enjoyable and more rewarding process. So implement these five habits today and take your diet to the next level. Whether you’re a morning person or a night owl, it’s still important that you start your day in a healthy way. By focusing on healthy eating first thing in the morning, you’ll be much more likely to continue eating natural, nutritious foods for the rest of the day. In this post we’ll be focusing on that very topic and listing five top morning habits that will help you eat healthy. As you’re sleeping, your body becomes slowly dehydrated because it goes without water or any other fluid for more than six hours. So to ensure that your body and brain operate optimally when you wake up, make sure you drink a large glass of water as soon as the day begins. This water will kick start your hydration and metabolism and also flush out toxins, allowing you to start the day full of energy. Many people skip breakfast either because they’re in a rush or they believe doing this will support their weight loss efforts. However, doing this makes you prone to mid-morning hunger cravings which then increase your chances of indulging in unhealthy foods before lunch. Not eating breakfast also has a negative impact on your energy levels, concentration and mood. So make sure you eat a light, nutritious breakfast every morning. Good healthy breakfast choices include fruit, Greek yogurt, oatmeal, omelets and smoothies. Doing this will provide you with the nutrition and energy you need to get going in the morning. Eating your breakfast mindfully is a morning habit that will allow you to better recognize and respond to your body’s internal hunger signals. This then enables you to fine-tune the process of eating just the right amount that your body requires to get going. Mindful eating involves eating your breakfast slowly, focusing on every bite and paying attention to your body’s hunger signals. By doing this every morning, you’ll be much more receptive to how hungry you are and know exactly when to stop eating during every meal. Not only does this prevent you from gaining weight but it also allows you to enjoy the tastes and flavor of the foods you eat much more than if your mind is elsewhere. Healthy eating is a long term process and if you try to change too much too quickly, you’ll become overwhelmed and are likely to fail. So instead of trying to make drastic changes to your diet each day, simply focus on one healthy eating habit that you want to change that day and give it your full attention for five minutes. When you do this, you’ll set a strong intention for the day and because it’s a single habit, you won’t feel overwhelmed. Eating a snack whenever you feel hungry in between meals is a great way to satisfy your cravings and boost your energy levels. However, usually when we start to feel hungry in between meals, unhealthy processed foods are the only things within reach. By grabbing some healthy snacks and taking them with you every morning, you’ll avoid this problem and always have instant access to some quick, convenient, healthy foods. There are lots of healthy snacks you can choose from with fresh fruits, Greek yogurt, nuts and seeds just some of the many wonderful options available. With these five morning habits, you can drastically increase your chances of healthy eating success. Once start practicing these habits every morning, you’ll find that it becomes much easier and more enjoyable to stay consistent with your healthy eating goals. 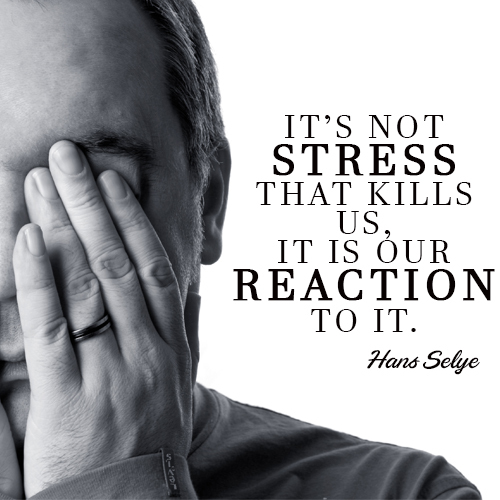 On the Roku TV channel we have just added a 4 part series on beating stress. It features physical exercises and positions, breating plans, meditaion and natural remedies to help you beat stress. By way of some extra help we thought we would feature a few things on the website too. To start with here is a really great great way to enhance your bath and beat stress. When all you desire is a nice, long bath, you should try to get the most out of it. This means that relaxation should be included. Add rolled oats and Lavender flowers. These ingredients boost your pampering and have a refreshing effect on your skin. I will show you the easiest recipe for your dream bath. 2. In a bowl, combine the oats with the lavender flowers and the essential oil. 3. Store in a glass jar or a cloth bag. 4. 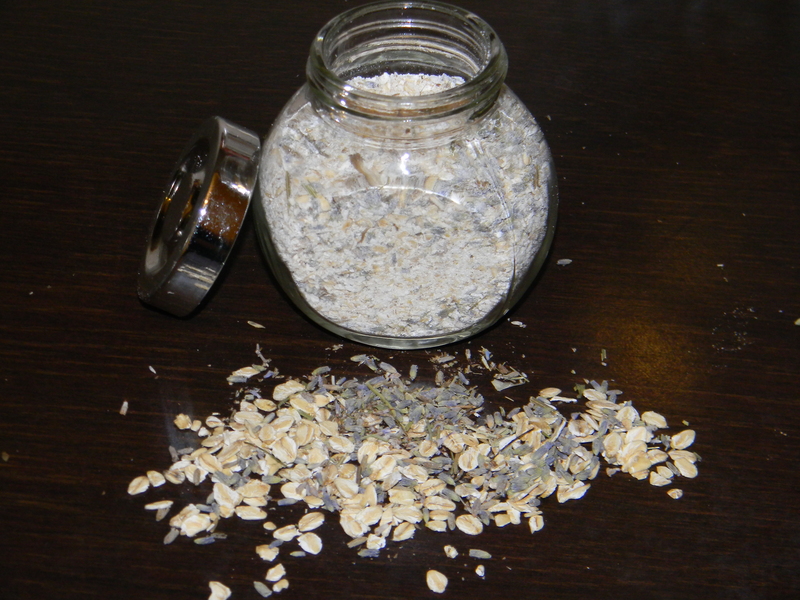 Whenever you want to take a relaxing bath, sprinkle your water with 4-5 tablespoons of the oat mixture. Lavender flowers and essential oil quickly loosen your mind and your body. They have two compounds (linalool and linalyl) which can pass through blood and skin barrier and reach the brain, positively stimulating it. Lavender relaxes the muscle and it’s extremely comforting after a long day. The rolled oats soften the skin and they are recommended for dry skin and inflammation. I used to take hot baths and really enjoy them. Until that day came when I got out of the tub feeling extremely dizzy. I realized it’s better to use warm water instead of hot. The water with very high temperature is not good for the skin as it destroys the natural sebum. It also may increase the blood pressure and give you some nasty headache. Always put a large glass of water near the tub to keep you hydrated during your bath. A good bath shouldn’t last for more than 20-30 minutes. You may use this recipe for children too. Lavender essential oil is recommended for babies 3+ months old. If your kids are as energetic as mine, I strongly recommend you follow this recipe for their bath 🙂 It improves the quality of their sleep. They will turn into some little angels dreaming of fairy tales, maidens and knights. You need to start using essential oils to help yourself feel better every day, but you need to make sure that you have made some plans that are going to make your life that much simpler. You can use essential oils every day to get rid of stress, but different oils help you do different things. You need to make oil choices that are going to help you feel better, and you need to use these oils as often as you can. You get stressed when you are sick because you are left to fight all these symptoms alone, but there are oils that are going to help you get rid of a stomach bug or a headache. You can rub these oils on your belly or temples to get rid of these problems. The oils take some time to set in, but they are very effective. You need to turn to them as soon as you can, or you can even rub them on your feet to help them get even more effective. Any kind of cramp in your body can be treated with essential oils on the joints. Rubbing these on is going to help you get over these joint pains, and you will not have to sit there wondering how long the pain is going to last. The pain from joint cramps is going to be hard to get over unless you have taken some steps to make yourself feel better. The oils that you use need to be used every few hours to make sure that joint pain stays away for as long as possible. There are certain oils you can rub on your chest so that you can breathe them in without feeling strange. You will be able to relax when you are using these oils, and you will be able to enjoy the oils that are going to make you feel much better. Just rub them on in the morning, and breathing in the aroma is going to help you feel better for the rest of the day. Using essential oils is going to help you get over stress, and you have to keep using these things for as long as you can. 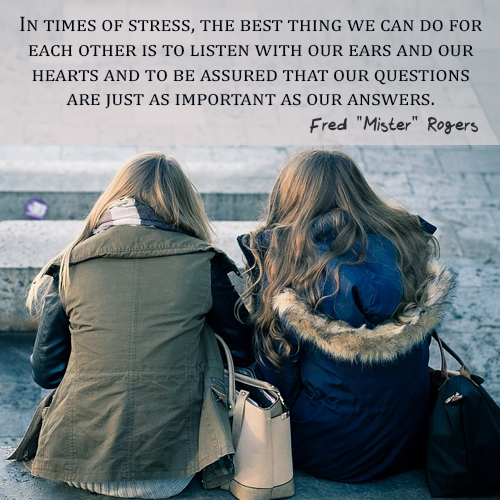 This is going to make your life much better, and you are going to have a resource at home that is going to help you get over these problems alone. Check out the TV channel for more and see the What’s On Guide for all the latest details. This minty ‘fresh’ lip balm is moisturizing, fresh and has a delicious smell. I like to use this refreshing balm, but you need to make sure that peppermint essential oil is right for you. It can be irritating to skin. This is why you should be careful not to overuse it (2 drops are quite enough for this quantity) and maybe test it first on a small skin area. You wouldn’t like to get your lips all irritated and swollen. 1. Use a glass jar to combine the shea butter, sweet almond oil and the beeswax. 2. Pour some water into a small pan and place the jar inside. 3. Put the pan over low heat and leave it there until everything melts. 4. Once everything has fully melted, remove from heat and add the Peppermint essential oil. 5. Give it a stir and that pour the oil mixture in the storage container. 6. Make sure that you do this quickly as the wax tends to solidify real fast. If you are not able to transfer all the content at once, reheat and finish the job. This lip balm will take good care of your lips and it is safe to use during the summer days when you usually spend a lot of time in the sun light because the peppermint essential oil is not photo sensitive. If you don’t like this particular essential oil, you may replace it. Use lavender or sandalwood instead. The only thing you will miss will be the refreshing touch. Homemade dry skin lotion – how to do it. My daughter developed dermatitis when she was 1 year old. Since then we’ve tried countless lotions, ultra moisturizing creams and anything we could find, hoping the quality of her skin will improve. Her skin is very very dry. I used to wake up in the middle of the night as she scratched, making some weird noise, like rubbing some polystyrene balls. It was scaring. She scratched and scratched until she got some bumps that eventually would start to bleed. I felt so powerless, especially as the doctors told me that there is no cure for this disease. So I started researching the Internet for some natural remedies, because I didn’t believe in the conventional ones anymore. And I discovered natural butters (like shea, coconut, cocoa, etc) and oils (almond, argan, calendula, etc) As I began to try each one of them, I discovered that her skin wasn’t as dry as before and we both could sleep all night long. So, I thought to myself that I should combine them in order to have all their benefits put together. And that’s how this lotion was born. All these butters and oils are cold pressed, unrefined. This way you get all the best from them. The refined products lose many of their qualities. 1. First of all, put the coconut butter, mango butter, shea butter and olive oil in the jar. 2. Place the jar in the pan and warm the pan over low heat. 3. Add the almond oil and calendula oil, then stir until well combined. 4. Continue warming the pan on a low heat until the butters fully melt. 5. After that add the essential oil and stir until well combined. 6. Get the jar out of the pan (be careful not to get burned) and pour the mixture into the container. 7. Allow the lotion to cool down and harden. If you are in a hurry, you can put it in the fridge. It will harden in 2-3 hours. 8. If you want to use it for more than 2 months, you should keep it in the fridge. 9. You will get about 150 g of lotion by using the given amounts of ingredients. And now, let me tell you something about the ingredients. • Shea butter has been used for centuries for treating the dry skin, eczema, psoriasis because it has incredible moisturizing qualities. • Mango butter has about the same effects as the shea butter, plus a lot of antioxidants and vitamins. It reduces the itch and inflammation. • Almond oil nourishes the skin. • Calendula oil heals all kind of irritations. This is the reason for using it in cosmetic products for babies. You may use this lotion for your baby, too. It contains only natural and healthy ingredients. And I have to tell you that my daughter’s skin is smooth and soft now. I am positive that all of us would like to have a young, elastic skin. There are a lot of external agents that affect the quality of our epidermis: stress, diet, cold, wind, etc. Our face needs a deep cleansing from time to time. You can consider this a little pampering, too. I challenge you to do this at home, instead of going to an expensive Spa and spend a lot of money. You will only use healthy, natural ingredients. This mask is suitable for normal/oily skin. • Raw honey – cleans and soothes thoroughly. It has an antibacterial role as well. Raw honey has a great role in preventing premature wrinkles and restores the skin’s brilliance. 1. Use a small bowl to mix the clay and the herb powder. 2. Add the honey and stir until the mixture has the consistency of a thick paste. 3. Pour warm water and stir until you get the desired consistency so you can spread it over your face and neck, then add two drops of lavender oil to the mixture. 4. Stir the mixture again to evenly distribute the lavender oil. 5. Spread the mixture over your face and neck with gentle, circular moves. Avoid the eye area. 6. Let it rest for 10-15 minutes or until it gets dry. 7. Soak a dark towel in hot water. The steam will help you easily remove the mask, without having to rub the skin too hard. 8. Use a cotton pad to gently wipe your face in order to remove all the water traces. Enjoy your clean and smooth skin!